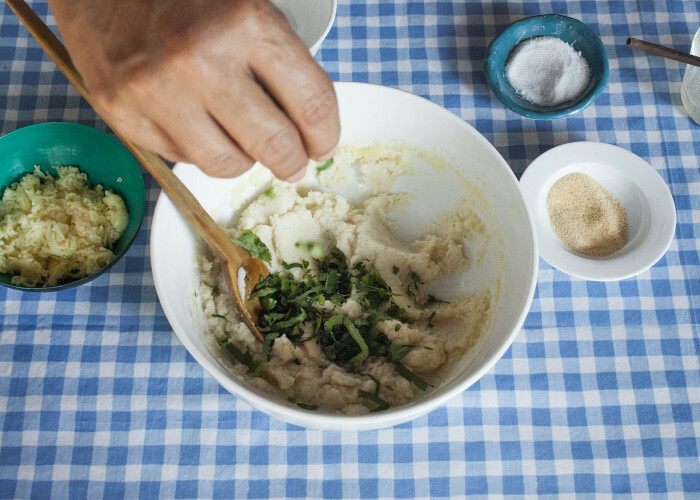 Here's a Latin American staple food with a Mexican twist. 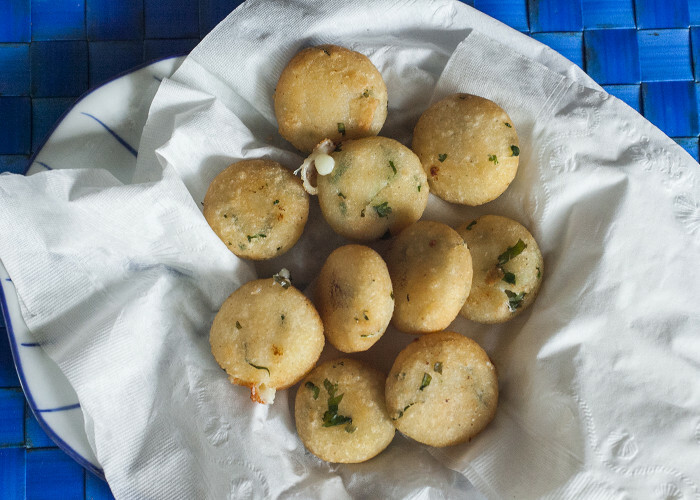 This corn dough muffin, arepa, is tasty, versatile, and gluten free! Arepa is a staple in many Latin America countries, particularly Colombia and Venezuela. This bread-like food is made of pre-cooked ground corn dough, it is then baked or fried, and paired with fillings, similar to a sandwich. The sky is the limit with the fillings - think slow cooked meats, cheese, egg, avocado, you name it! They are similar to the Mexican-style gorditas. With this in mind, I decided to give arepas a Mexican twist by adding cilantro and cheese to the dough. 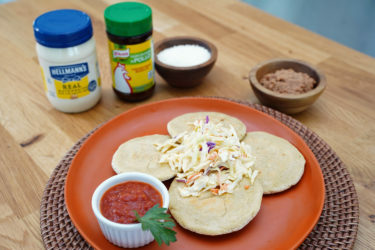 This recipe does not need to be sliced in half and paired with fillings, they are a bite-size variation of a traditional arepa. 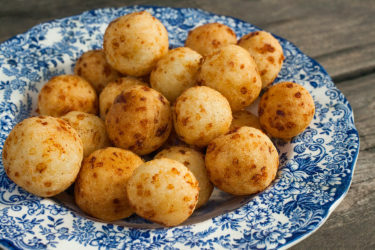 They're perfect as finger-food, or pasapalos, as they say in Venezuela! In a large bowl, combine the 2 1/2 cups of hot water, 3 tablespoons melted butter, 1/2 teaspoon salt and 1/2 teaspoon garlic powder. Stir to dissolve salt. Gradually mix in the PAN corn flour until dough forms. Taste the masa for salt. The dough should be soft in texture but not watery. If the dough seems to dry, add it a little more water. Mix in the chopped cilantro until evenly combined. 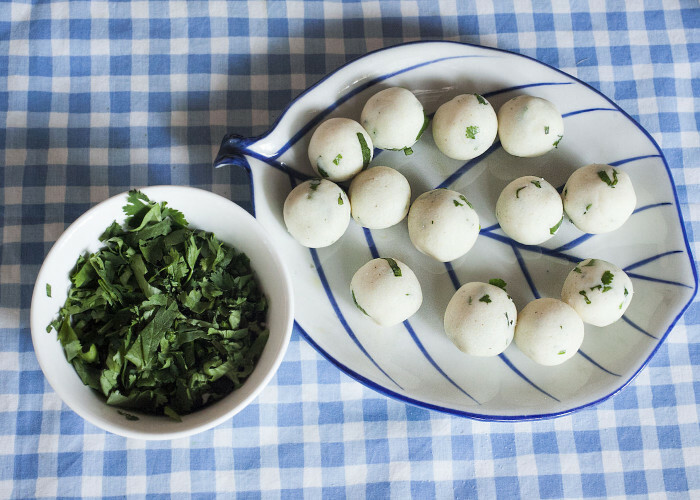 Divide the masa (dough) into 20 to 24 equal balls. Transfer onto large plate and keep covered with plastic wrap. 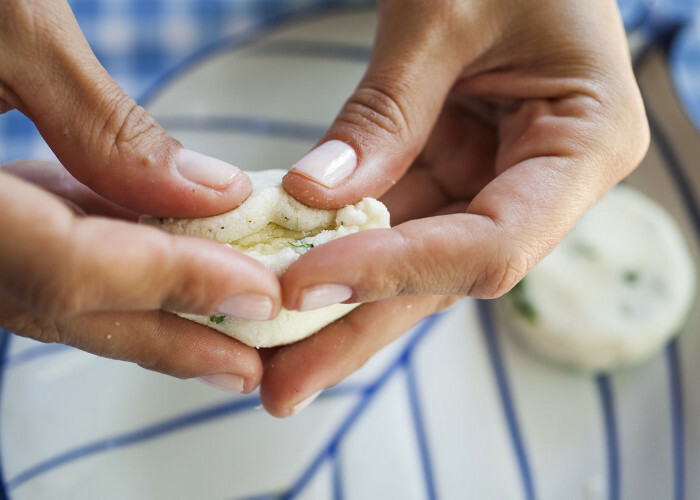 Take one dough ball and using your hands, flatten slightly to about 2 inches. 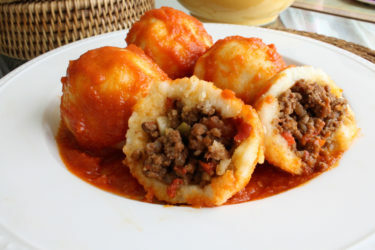 Place about 3/4 of a tablespoon of cheese in the center and fold dough over to cover cheese, forming it back into a ball. Once cheese is securely covered, pat and shape into a 2 1/2 to 2 3/4 inch mini arepa. I dip my fingers in water while I do to prevent the dough from sticking to my fingers. Repeat and place on large plate or baking sheet keeping them covered with plastic so they don’t dry out. In a large skillet, preheat 1 1/2 to 2 cups of oil to medium heat for 5 to 7 minutes. When oil is hot (at 350 degrees), fry 6 to 8 mini arepas for 4 to 5 minutes, turning halfway through cooking time. You want them to be a nice light golden color. 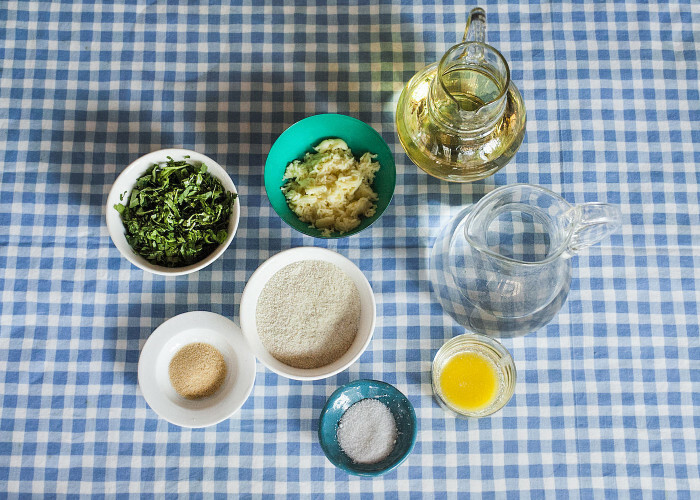 Place arepas in baking dish lined with parchment paper and keep warm in low temperature oven while you finish frying. Serve with your favorite sauce or salsa. Cool completely before storing in an airtight container. You can reheat in a non-stick pan on medium heat for 5 to 6 minutes. 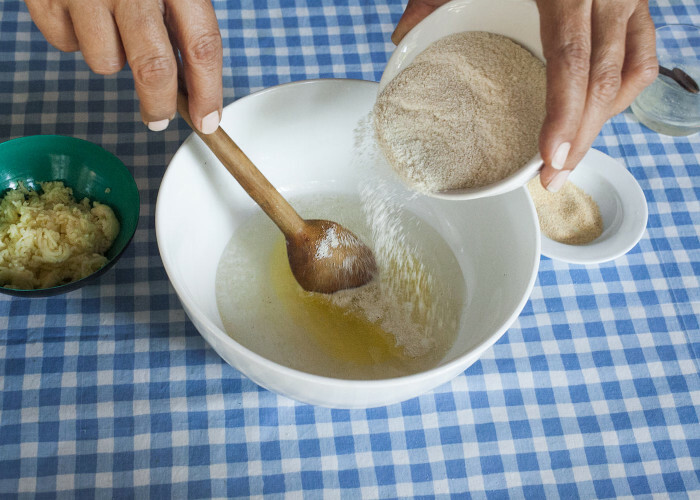 Moisten your hands with water so that you can mold the dough with more ease. 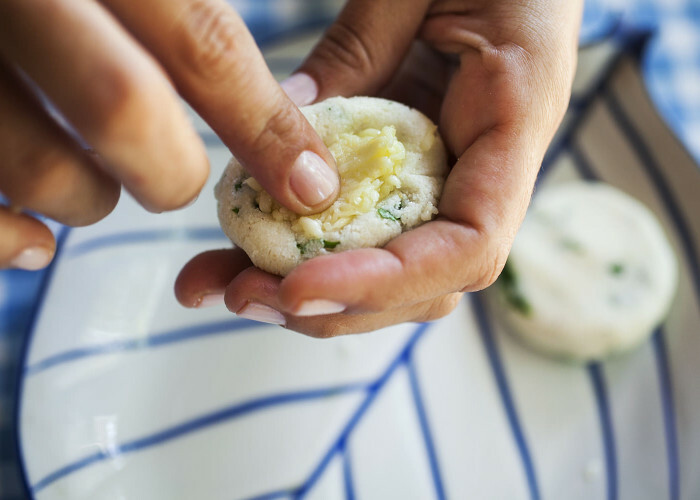 You will know arepas are done once the dough begins to crack slightly and cheese begins to come to the surface.